The 6-burner with gas oven in the Charvet ONE heavy-duty equipment range is wide enough to cook a whole lamb and has launched in response to demand for better quality entry-level equipment from restaurant chain operators. 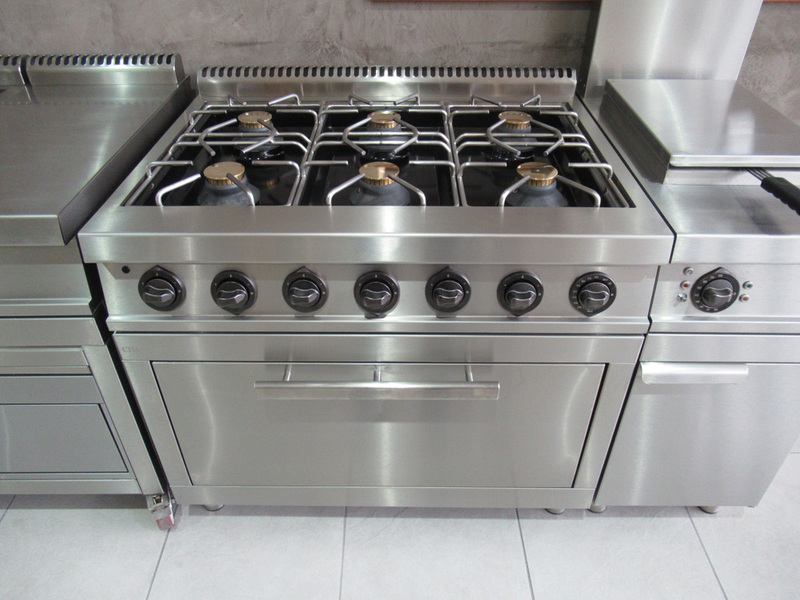 “Many of our customers asked for a classic 6-burner range in the Charvet ONE format because they find that other equipment simply does not stand up to the punishment of working in a modern kitchen,” says Pierre-Alain Augagneur, Charvet President and Export Office General Manager. “The chains especially want equipment to be built strong enough to last seven years, but at the least expensive price, without any ‘frills’ such as coloured panels, enamelled name plates or branded flues. The Charvet ONE gas 6-burner features a one-piece seam-welded stainless-steel chassis (1.5 mm thick) that provides strength and rigidity. The top is 2mm thick stainless-steel and sides are 1mm thick. Power is rated at 6 x 6.5kW for the Charvet patented ‘I. SYSTEM crown’ open burners, with pilot light and flame failure safety cut-out thermocouple. The 855mm wide 9kW gas oven is wide enough to allow for the cooking of whole lambs and is supplied with a nickel-coated oven-shelf with anti-tilt supports, and includes a 304-stainless steel cavity and a 4-mm thick mild steel base. A 6-burner version with an open base instead of the oven is also available.